The 2015 Toyota Tundra Pro will hit the dealerships and streets in the fall of 2014. A great truck for working or playing the Tundra is a full sized pick-up truck with great space and even better handling and control. Made to withstand rough terrain the Tundra is a great truck for taking on adventures or for day to day work. It comes equipped with many of the standard features full size pickup trucks offer but it also has some exclusive features. 18 Inch Wheels: bigger wheels for smoother riding. Black Alloy Wheels: alloy wheels which are aluminum mixed with other metals are more lightweight making for better control handling. Front End Lift 2 Inches: better for driving in rough terrain. Dual Exhaust In Stainless Steel: stainless steel offers better maintenance and the dual exhaust offers more power. Bilstein shocks: one of the leading companies for shocks these are equipped with remote reservoirs to allow for larger capacity of oil and easier riding. Front skid plate Made Of Aluminum: perfect for taking trips through the desert or other tough terrain. Lower Spring Rate: for smoother and better handling when driving off road. 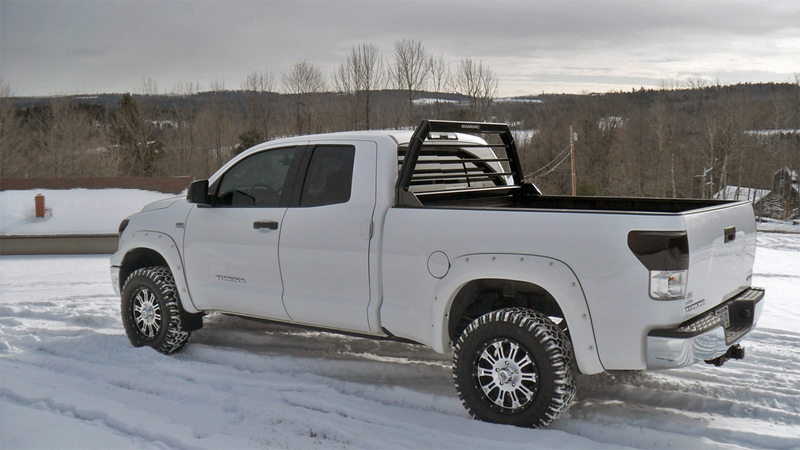 The Tundra is available in black, white and a new color called inferno. Typically only black and white were offered but Toyota has added a new color to choose from. The interior seats of the 2015 Tundra pro will also be different from other models and years. The seats will be a unique color and will offer red stitching. The 2015 Tundra Trd Pro is great for traveling especially through rough areas such as deserts, dirt roads or tough riding trails. Whether it is off roading, drives through the mountainside, transporting some dirt bikes up to the motorcross track or even towing some trailers the Tundra will offer everything for smooth riding and easy handling. 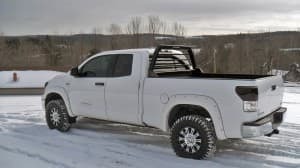 Made to withstand rough weather and terrain the Tundra is already a top pick truck for off roaders and adventurers who are just waiting till fall when the Tundra is released.